As a brand new Assistant Professor, the surgeon-scientist is generally excited about starting a new job as well as the possibilities for building their very own research program. However, there is perhaps no greater source of anxiety for the young scientist than setting up and staffing a new research program (either in basic bench research or patient-oriented translational research). 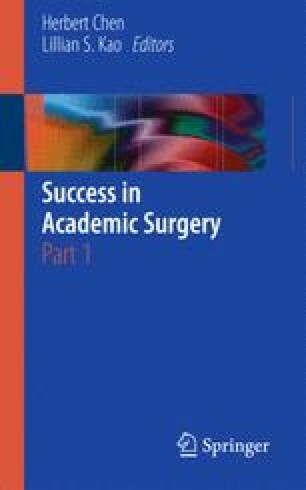 In this chapter, we provide very broad guidelines and advice to help avoid those pitfalls and build a successful research program. Making the Right Moves: A Practical Guide to Scientific Management for Postdocs and New Faculty. 2nd ed. Howard Hughes Medical Institute and Burroughs Welcome Fund; 2006. Available at: http://www.hhmi.org/resources/labmanagement/mtrmoves_download.html. Accessed January 2011.